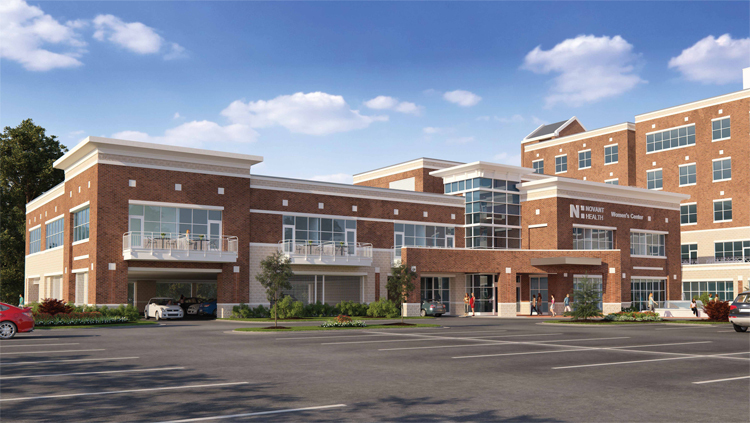 Women's Center expansion will create a comprehensive care center - Rodgers Builders, Inc.
Novant and Rodgers broke ground for a new addition to the Women’s Center at Novant Health Matthews Medical Center in Matthews, NC. The expansion of 26,500 square feet will add needed capacity and new programs to support women in the community. 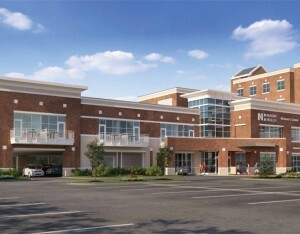 “We’ve seen obstetric volumes nearly double here at Matthews, and we anticipate more growth over time,” said Novant’s Vice President of Women’s Services, Pat Campbell. The project will add seven labor and delivery rooms and enlarge the special care nursery, along with patient rooms, community classroom space, and a boutique with gifts for babies and new moms.